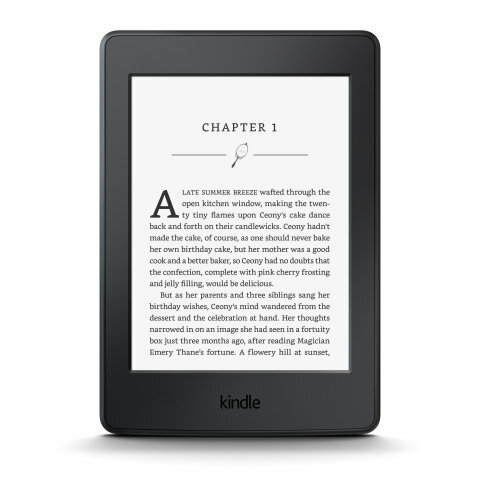 Amazon on Wednesday launched preorders for a new edition of the Kindle Paperwhite, upgraded with a sharper e-ink display rated at 300 pixels per inch, matching the display resolution of its high-end Kindle Voyage. The new resolution is effectively equivalent to print, and in that regard puts the Paperwhite on par with the top-of-the-line $199 Voyage e-reader. The $80 premium cost for the latter now only adds page-turning controls on the bezel and an ambient light sensor that adjusts page lighting automatically. Other Paperwhite hardware specifications are unchanged, and include a touchscreen interface, adjustable lighting, and estimated battery life up to six weeks. In software, however, users now gain access to Bookerly, an Amazon-designed font previously available on Kindle Fire tablets and the Kindle mobile apps. Later on the company will implement its new typesetting engine, which adds things like kerning, hyphenation, and better character spacing. Amazon will ship the updated on Paperwhite on June 30. Prices range from $119 for a Wi-Fi model with ads to $209 for an ad-free, 3G-capable reader. 3G models are ready to go out of the box, and let users download books and sync page position in 100 countries. 3G service is typically free, although charges do apply for U.S. owners downloading periodicals internationally.